Following the announcement, shares of Bombay Dyeing surged as much as 10.95 per cent to touch an intra-day trade high of Rs 147.90 apiece, against its previous close of Rs 133.30 on the BSE. The stock has gained upto 29 percent this month. Shares of Bombay Dyeing rallied nearly 11 per cent in early deals on Monday after the Wadia Group's flagship company said its Mumbai real estate project received part occupancy certificate from Mumbai Municipal Corporation. "The Municipal Corporation of Greater Mumbai has granted the part occupancy certificate for company's residential building project on plot bearing C. S. No./CTS No. 120, 1/128 & 223 of Division Dadar - Naigaon at G. D. Ambekar Road, Mumbai on March 15," Bombay Dyeing & Mfg Company said in a filing to the Bombay Stock Exchange. Following the announcement, shares of Nusli Wadia-led textile company surged as much as 10.95 per cent to touch an intra-day trade high of Rs 147.90 apiece, against its previous close of Rs 133.30 on the BSE. The stock has gained upto 29 percent this month. In a similar trend, stock of the company was trading at Rs 144.55, up 8.28 per cent on the National Stock Exchange. During the day's trade so far, it touched an intra-day high of 147.80 after making a positive start on the local bourses. Also Read: India's first REIT IPO opens for subscription today; should you invest? The company also said that occupancy certificate is an important document for a project and signifies that building is fit for an occupation. Last month, the Mumbai Bench of National Company Law Tribunal (NCLT) had approved the scheme of arrangement between Seal Services and the Bombay Dyeing and Manufacturing Company and their respective shareholders with effect from the appointed date of July 1, 2018. The Bombay Dyeing and Manufacturing Company is a holding company engaged primarily in the business of real estate development, polyester staple fibre and retail. The company's segments include real estate, polyester and retail/textile. 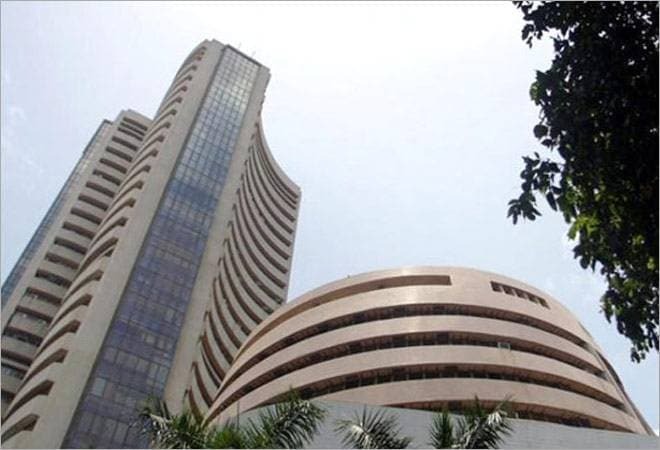 Meanwhile, the benchmark indices, Sensex and Nifty, were trading in the positive terrain, led by gains in the banking and oil and gas stocks.